Knowing who you are is vastly important to building brand longevity. 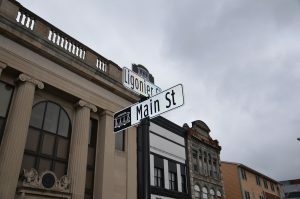 For most Pennsylvania communities, it would be very easy to lean on history to inform a brand or identity, because our communities are much older than some of our Midwestern or West Coast peers. It would also be easy to lean on natural amenities for identity. 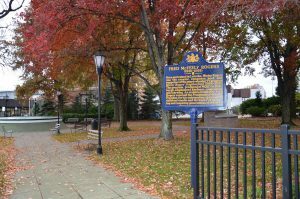 Whether it’s the ridges, valleys, rivers, lakes, or seasonal changes, the natural beauty of Pennsylvania also offers an accessible avenue to build a brand. 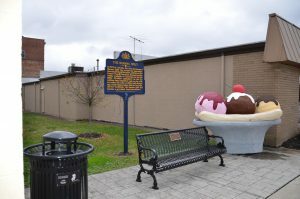 But for some of Pennsylvania’s communities, there are genuinely unique and specific elements to build a brand around. 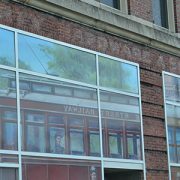 Fred Rogers (Mister Rogers to most of us) and his trolley have their roots in Latrobe and that legacy will not be lost on any visitor to downtown. The image of the trolley has become symbolic in the community and represents a unique attribute of the community. 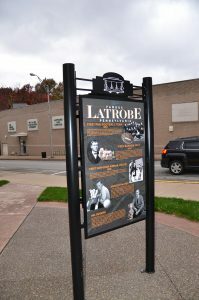 It also brings a unifying and timeless element to the downtown, elevating the overall Latrobe brand and wrapping it in memory. 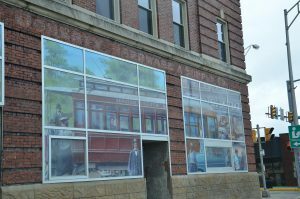 Getting closer and closer to Pittsburgh on the Lincoln Highway! 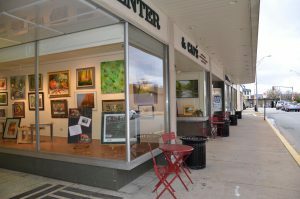 Remember, you can always retrace our steps here or on the blog at www.derckandedson.com.